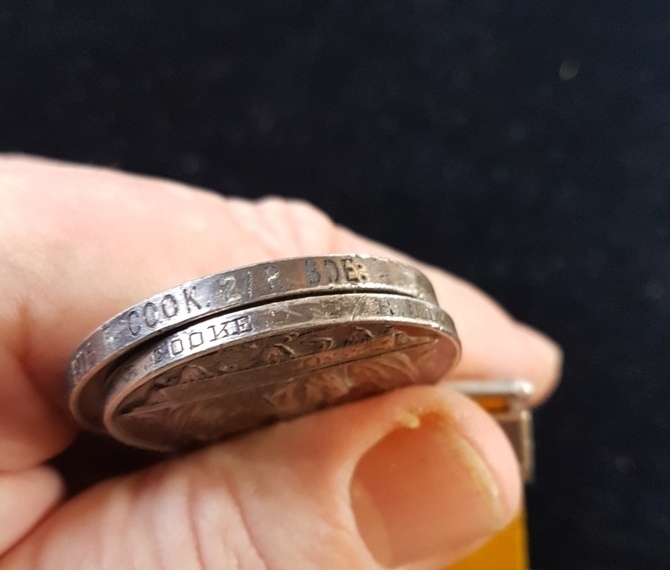 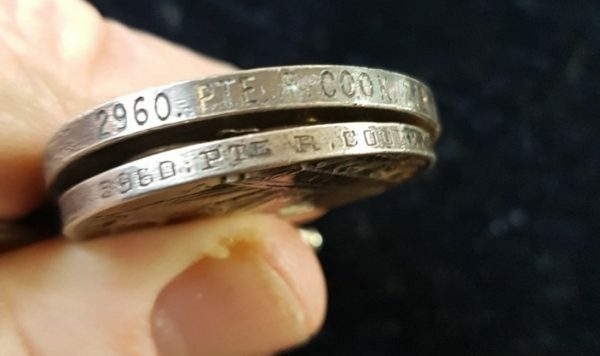 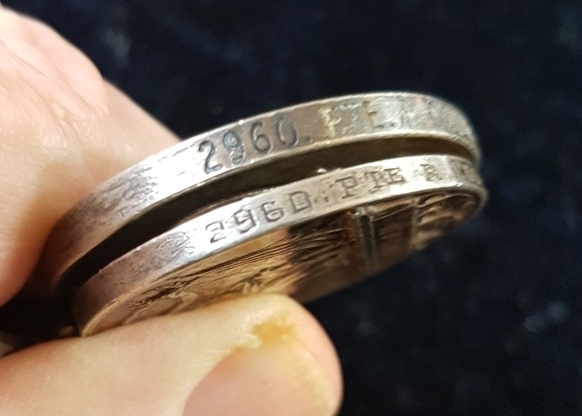 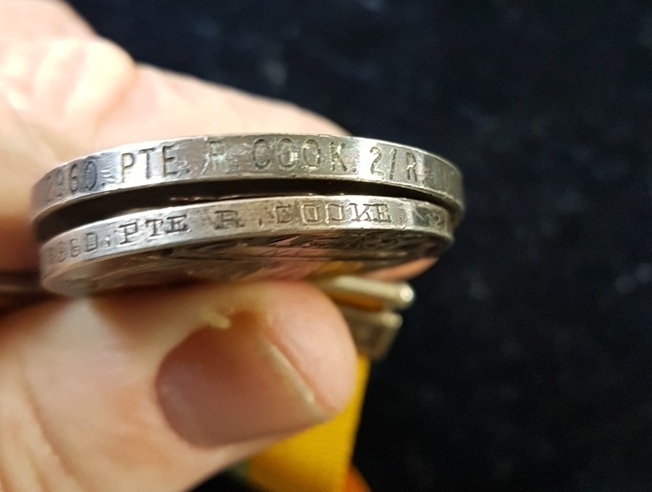 2960 PTE R COOKE 2 / R. BDE. 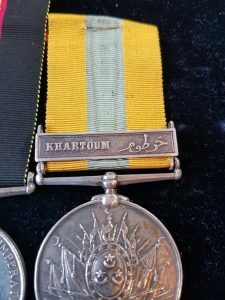 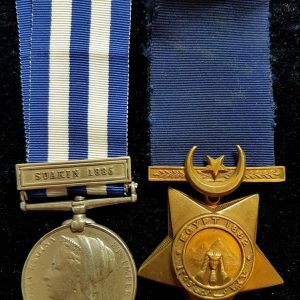 Khedive’s Sudan Medal Khartoum Clasp named to: 2960 PTE R. COOK. 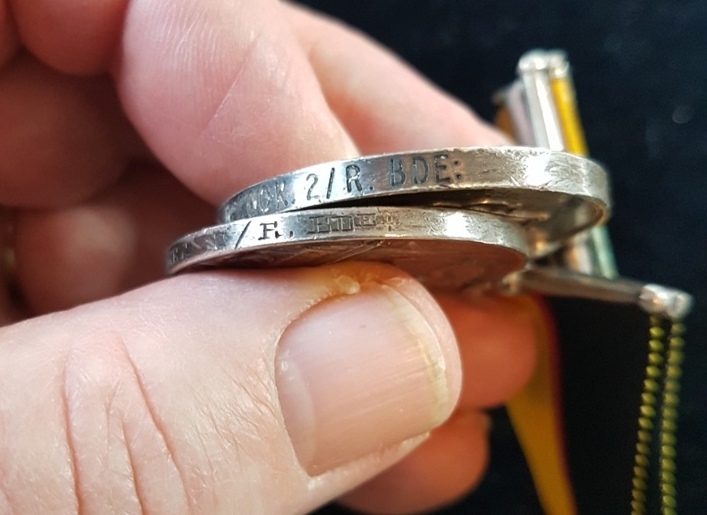 2 / R. BDE. 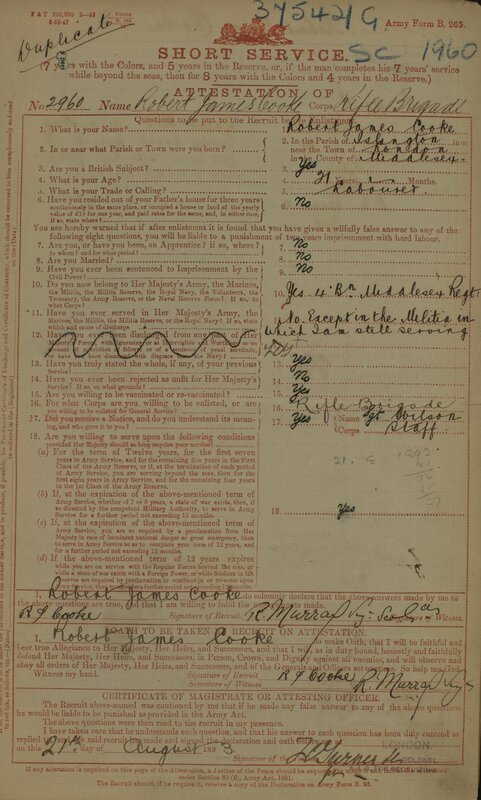 Robert James Cook was a 21 year old labourer, born in Islington, Middlesex, when he attested into the Rifle Brigade in August 1893. He was in the 4th Battalion, Middlesex Militia Regiment when he attested at Winchester. 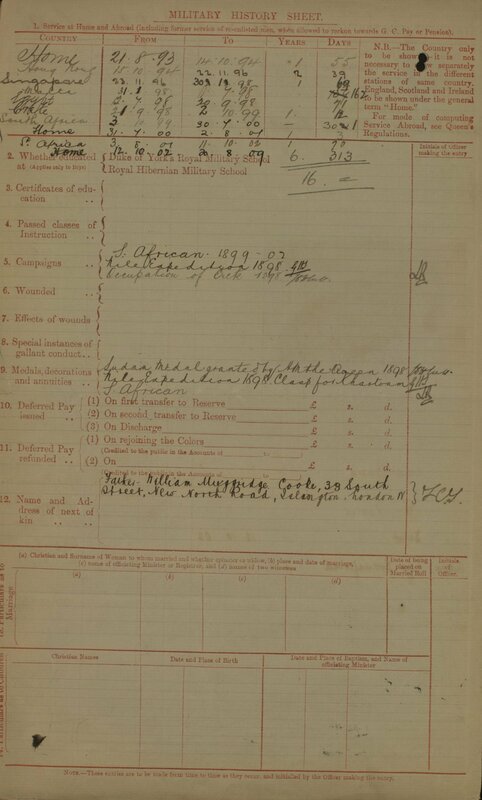 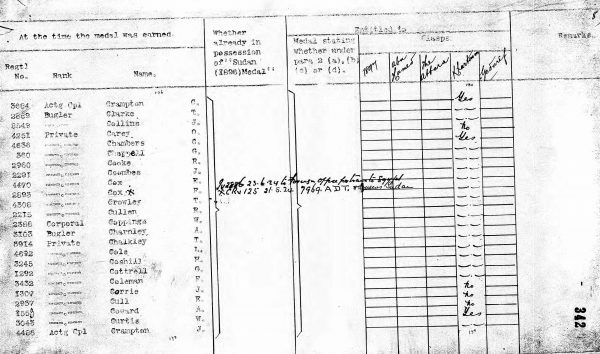 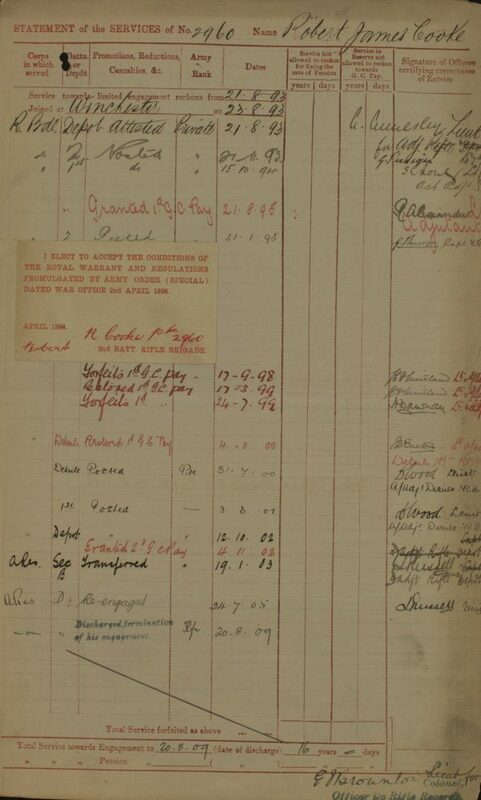 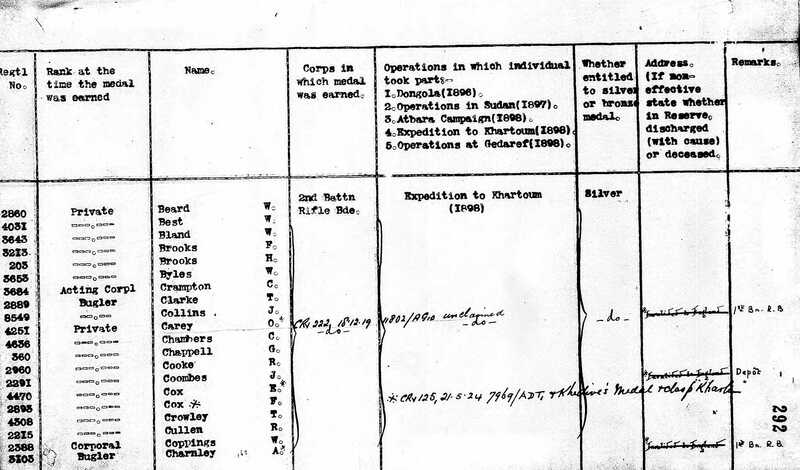 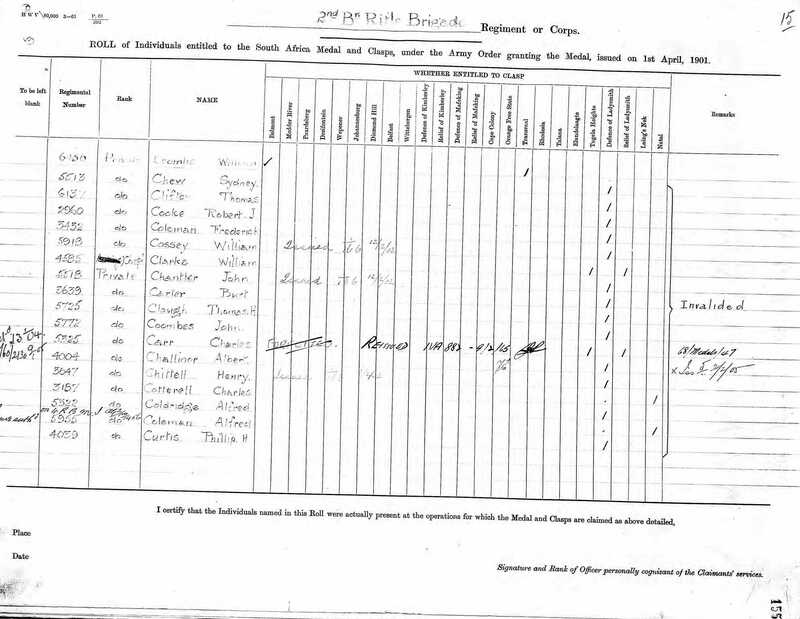 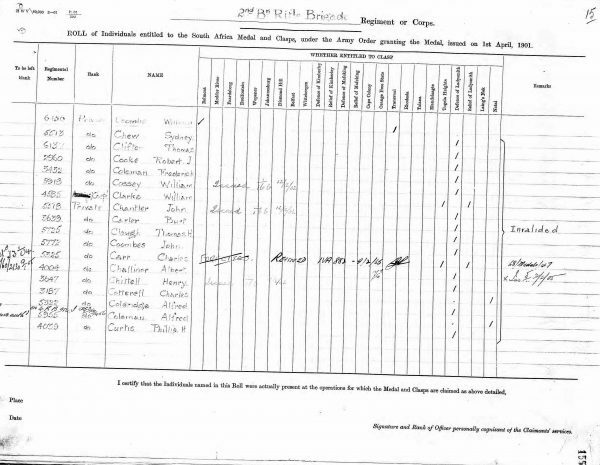 Service records show that he saw service in Hong Kong, Singapore, Malta, Egypt, Crete, South Africa and home. 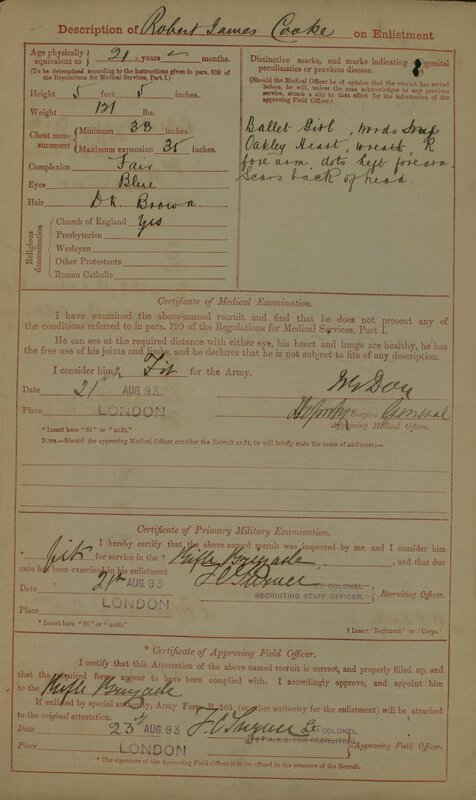 He was discharged in 1909. 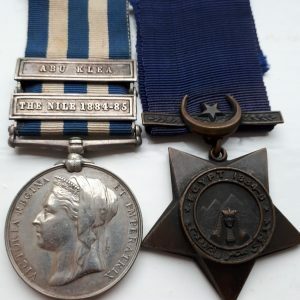 His medal entitlement is confirmed on the relevant roll. 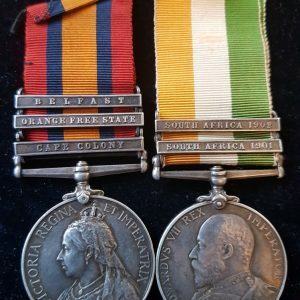 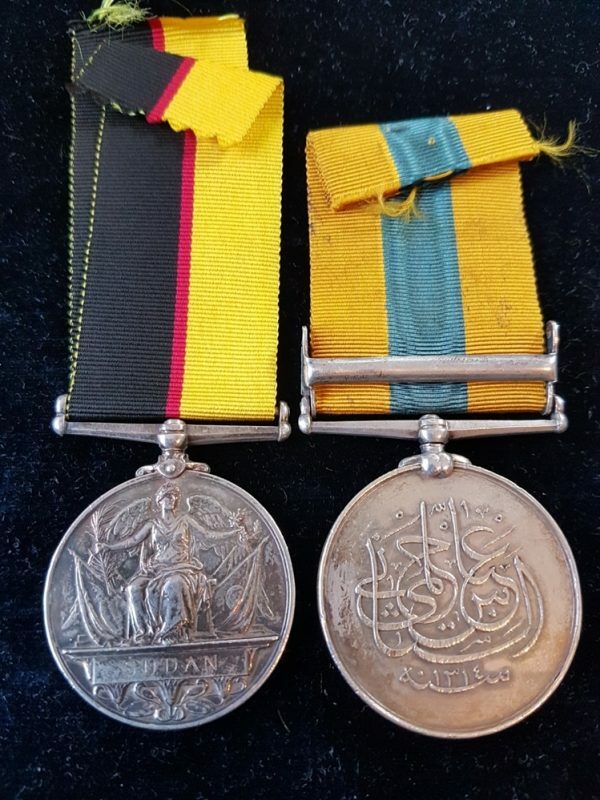 he is also entitled to an Anglo Boer War Queen’s South Africa Medal with Defence of Ladysmith Clasp also whilst serving with 2nd Battalion Rifle Brigade. 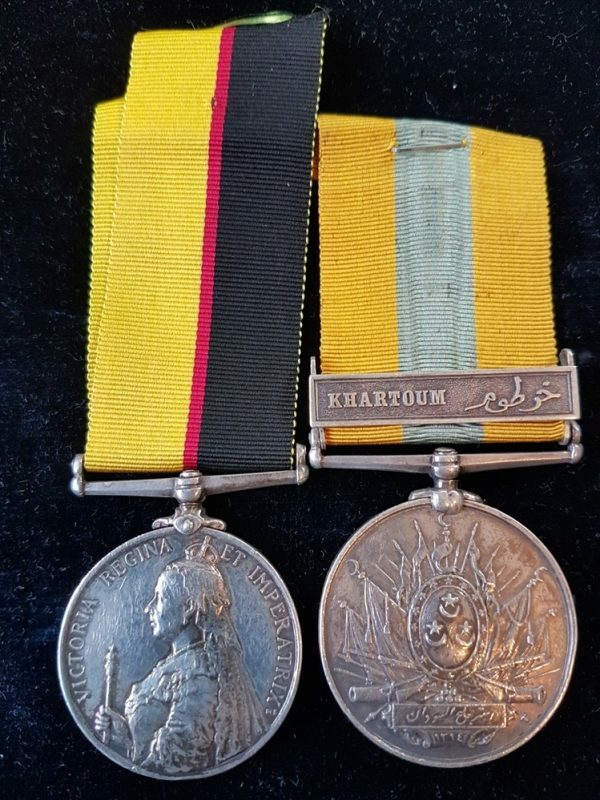 Note the error on the naming with the misspelt surname on the Khedive’s Medal, which was not uncommon at this time.